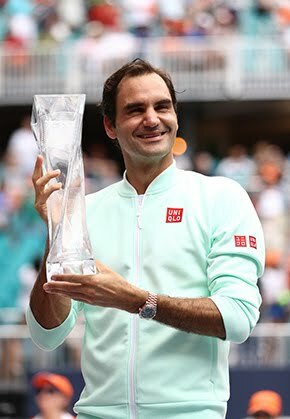 Worried about a recent back problem that kept him from getting ready the way he usually does for a Grand Slam tournament, Roger Federer had to overcome an early deficit and a late lapse Tuesday night to edge 19-year-old American Frances Tiafoe 4-6, 6-2, 6-1, 1-6, 6-4 in a compelling first-round contest under the Arthur Ashe Stadium roof. It was the first time Federer had been taken to five sets in the opening round at Flushing Meadows since his debut against Peter Wessels in 2000. His 79th US Open match win ties him in second place with Andre Agassi, behind only Jimmy Connors on 98. 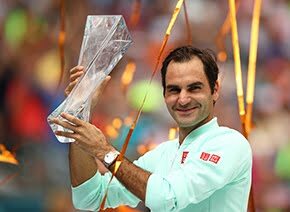 “I think in many ways people were hoping for a good battle between the Next Gen and somebody established like myself,” Federer said. “In many ways also it felt like people were happy to see me again after missing last year. I felt like the energy was in the building. Unperturbed by the occasion, the free-swinging Tiafoe took it to the No. 3 seed throughout. 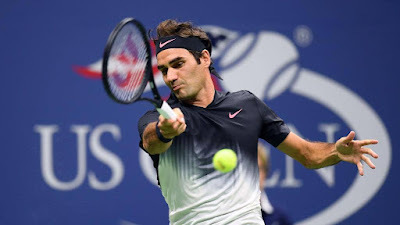 Federer saw his 16-0 record in US Open first rounds come under threat, as four unforced errors in the opening game handed an initial break to the American. Tiafoe did well to hold his serve throughout the set and gave a huge fist pump and a scream of “C'mon!” as a forehand winner saw him grab the opener. It marked the first time Federer had lost the opening set to a player outside the Top 50 of the ATP Rankings at the US Open since 2007, when he rallied past No. 60 Feliciano Lopez in the Round of 16. The 36 year old’s passive start would not last, however. He would grab his first break for 3-1 in the second set and the tension released. The Swiss started finding his range with more depth and opened the court for his finishing forehand. He reeled off 12 of 15 games to grab a two-sets-to-one lead but his American opponent was not about to fade away. Tiafoe went two from two on break points when he surged to 3-1 in the fourth set and with the errors beginning to flow from Federer’s strings, the American made it a perfect three from three on break points with a double break for 5-1. He brought up three set points with a drop-shot winner and locked it up at two sets all. Tiafoe’s chances of winning a five-set match for the first time in his career were not looking great when Federer broke with a backhand winner down the line for 3-1. The No. 3 seed brought up match point with his 16th ace at 5-3. But Tiafoe was not done yet. Roared on by his home crowd, he broke with a forehand pass down the line to get games back on serve for 4-5. His revival, though, was short-lived. Federer broke to close out the match when the American netted a short forehand at the two-hour, 37-minute mark. “In the second set I think it all started to come together,” Federer said. “That was good. But because of the preparation being not the best that I've had, I think I was quite up and down. “Every time I was down, Frances took care of it. Then in the fifth, it was just more of get the energy back, play to win, don't just play to hope that he will miss. I think I did that, so I'm really, really excited that I won tonight. “I'm very happy that I'm feeling as good as I'm feeling right now. Honestly, if I would have felt like that going into this tournament that my back was going to get worse every match, I probably wouldn't have played. My hope and my belief is that it's only going to get better from here because every day that goes by puts me further away from what happened in Montreal. So that's how I see it.